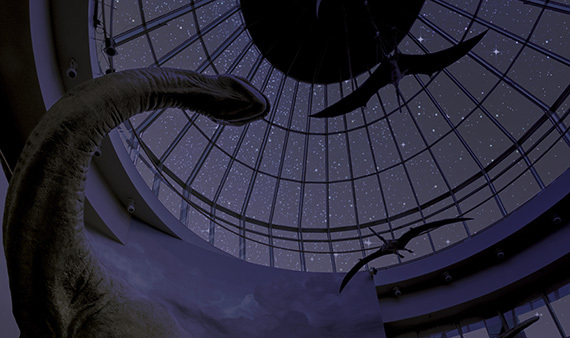 Have you ever wondered what happens at the Museum after the lights go out at night? Would you enjoy sleeping among the dinosaurs, tree frogs, coastal fish, or a number of other amazing creatures in our exhibits? Join us for this exciting overnight event at the Museum, including live animal encounters, crafts and other special programming. You’ll fall asleep immersed in our world-class exhibits and wake up to a continental breakfast among old and new friends. A chance to see the Museum and our nocturnal animals come to life after hours. The unforgettable opportunity to sleep alongside some of your favorite exhibits. Self-guided exploration of the Museum by flashlight, and more! Plus, since you’ll already be downtown, you’ll have a prime parking spot for the Raleigh Christmas Parade on Saturday morning! Tickets and current membership are required and available for purchase online or by calling 919.707.9950. Register by November 9, one week prior to the event date. For sleepover basics and more details, click the links above or contact the Box Office at 919.707.9950. Stick around after the event for the Raleigh Christmas Parade, starting on the corner of Hillsborough St. at Saint Mary’s St. at 9:40am on Saturday morning. Requirements: Registration and current membership required. Bookings must adhere to a 1:3 adult-to-youth ratio.